We have a sunny one bedroom apartmentthat we have exchanged a few times in the past. This is the apartment of a young couple in their late twenties. The apartment is fully equipped and it has all the things we need at this stage. We trust that other people will feel comfortable here. There is a queen size bed and cable TV in the bedroom. The living area is equipped with a comfortable futon, table with chairs, a large bookcase and a desk with a PC. There is a gas oven as well as a microwave oven in the kitchen, a fridge and a freezer. 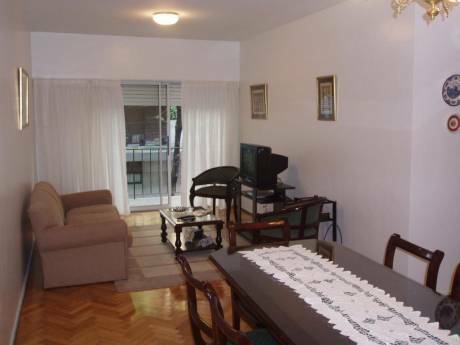 The apartment is on floor 9 of a building with elevator and has a very large and sunny terraced balcony. I am a lawyer and my boyfriend is an architect. We are in our late 20s. We are very respectful of other people's privacy and property and eager to help visitors. We are very busy thoughout the year and we like to travel when we have a chance. We have exchanged with apartments in Paris and Italy in the past. We are interested in sumultaneous as well as non simultaneus exchanges. Buenos Aires is a lively and resourceful city and it is also very affordable. Our apartment is located in Barrio Norte, a very colorful and safe area. There are plenty of bars, restaurants, bookstores, cafes, etc. Our building is situated in a quiet street but it is 2 blocks from Santa Fe Av, a highly commercial avenue. 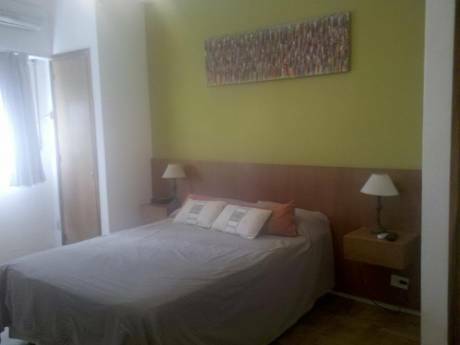 The apartment is close to: gym, commercial avenues, shopping center, boulevard, subway station, park, supermarket, pharmacy, etc. 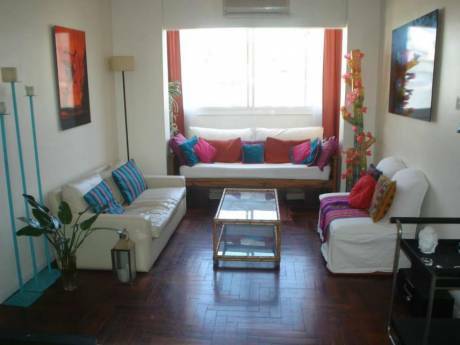 Two blocks from subway station (Line D to Palermo, Belgrano, downtown, 9 de Julio, Plaza de Mayo). Walking distance to most places of interest.